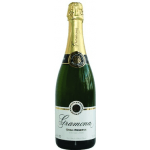 The 2013 Gramona Impérial Brut Gran Reserva ($337.74) is a sparkling wine from Cava produced by Caves Gramona that is based on 2013 xarel·lo, macabeu, macabeo and chardonnay and has an alcohol content of 12%. The 2013 Gramona Impérial Brut Gran Reserva is the ideal sparkling to combine with foie and pâté or foie gras. 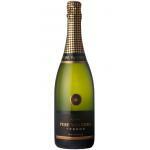 At Uvinum, this sparkling wine scores an average rate of 4,1 of 5 points. 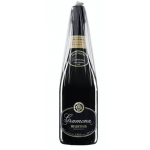 Gramona Impérial Gran Reserva 2013 is a great classic, a cava that has managed to win over legions of the most expert consumers and, in addition, is one of the most recognized cavas worldwide. Its aging - between 3 and 4 years, longer than normal - gives it elegance and sumptuousness, but part of the secret also lies in its roots. With the aim of gathering the best bunches of Xarel·lo, Macabeu and Chardonnay, Caves Gramona cultivates its vineyards through strictly controlled organic and biodynamic viticulture processes, based on the meticulous observation and treatment of the factors that influence the land and its surrounding habitats. No chemical herbicides or pesticides are used, only natural resources, which together with biodynamic processes help to give life to the vineyards, contributing to promote greater biodiversity. 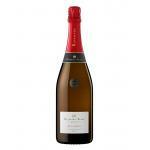 The deep respect for the vineyard and a long aging time in the barrel are essential for Gramona Impérial Brut Gran Reserva 2013 to have a great personality and finesse and at the same time be a culinary cava. 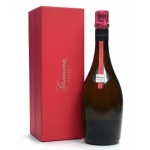 From aperitif to dessert, in a glass of Gramona Impérial Brut Gran Reserva 2013 you will find the perfect ally for the most special of occasions. - View: pale yellow straw-colored reflections. 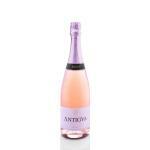 - Nose: ripe fruit, spicy finely lnotas (pepper and nutmeg) and mineral memories. 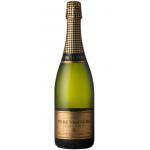 - Mouth: Remarkable entrance, spacious in its path, lively, refreshing, fine bubbles, creamy, notes of ripe fruit compote and bakery. GRAPES: 50% Xarello, 40% Macabeo, 10% Chardonnay. AGEING: a period of approximately 57 months aging. PAIRING: throughout the meal until dessert. Straw yellow with golden reflections again. Subtle perfume of apple, biscuits, spices, flowers. crispy touch and tonic, prolonged fruitfulness, pleasing alcoholic voice. Excellent. . . I discovered this Christmas, very fine !!! Deep colour at first sight. 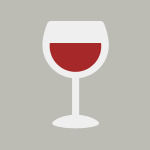 Good yeast aromas enhance a wine's bouquet.The palate ends up with a bitter taste. Great wine menu that would go well with a good meat. 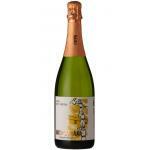 classic elegance cava is made from a criança of 5 years. The touch of liqueur and elegance have made him a classic among its faithful. This Gran Reserva has a cellaring period between 3 and 4 years. If you want to buy 2013 Gramona Impérial Brut Gran Reserva, at Uvinum you will find the best prices for Sparkling Cava. Get it at Uvinum, 100% safe, fast and easy. We offer more than 59.000 products for sale which makes us leaders in the sector of selling wine, beer, and spirits in Europe thanks to more than 38.000 customers who shop at Uvinum.